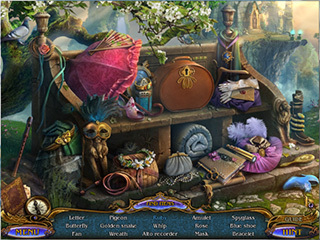 Dreampath: The Two Kingdoms Collector's Edition is going to atract not only the hidden object puzzle adventure fans but also the fantasy fans. There's a long sotry of how things came to be the way they are right now as you set on a journey to help heal your sister. You are going to encouter a cat on your journey and you will end up rescueing Muir. A short version of the story is that your sister is sick and dying and needs your help. A longer version of the story in Dreampath: The Two Kingdoms Collector's Edition incluedes also the history of the two kingdoms and two kings. They used to be dragons fighting against an evil dragon, the last victory over which required they to turn into humans and rule over their kingdoms. So now you to travel to the dragons and kings for the elexir of life. The game's audio-visual presentation is wonderful. It is not dark but rather mysterious and fairy-tailish. The animation makes it look as really beautiful fantasy world. You are going to encouter a cat on your journey and you will end up rescueing Muir. Muir is going to become your helper for reaching things and a good source of information too. There are 60 coins that are acattered all over the scenes that you can find and spend on the luxury items for the cat. If you are interested in the achievements you should not avoid the tutorial among other things. 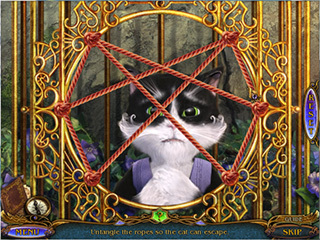 The hidden object scenes come in different types of searches. The puzzles and mini-games seem have some freshness to them trying to make even the old puzzles feel a bit new. The game is great for the fantasy fans and just for those who appreaciate good HOPA games. Make sure to take a look at this one if you are looking for a HOPA game. This is Dreampath: The Two Kingdoms review. Download this game here.